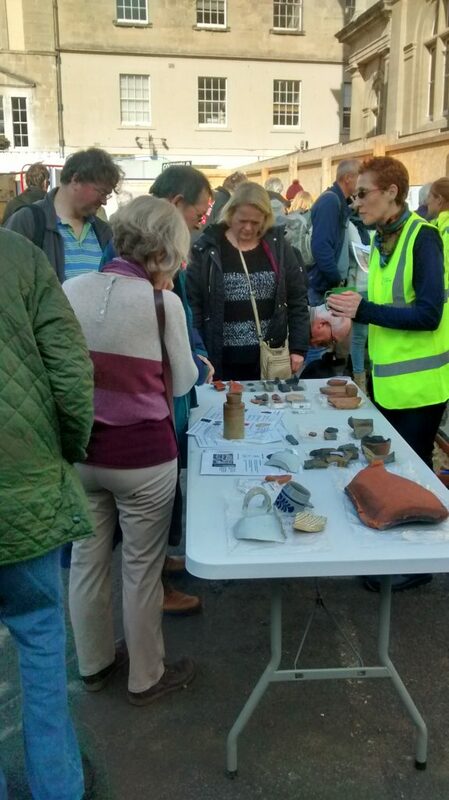 On Saturday, 31 October, blessed with remarkably good weather for late October, our Archaeology Open Day attracted a fantastic 1,510 visitors in just four hours. Thanks to the developer Deeley Freed Estates, who generously funded the event, and the Principal Contractor Sanctus, who provided invaluable assistance on the day, we had huge public interest. The diverse range of visitors included not just clay tobacco pipe enthusiasts, but many more passing shoppers, rugby fans and theatre goers intrigued by the gathering crowds. The event was excellent. Very well organised and the enthusiasm of the staff on site made for an excellent environment for the visitors. I am sure the open day will have put the development in a positive light. 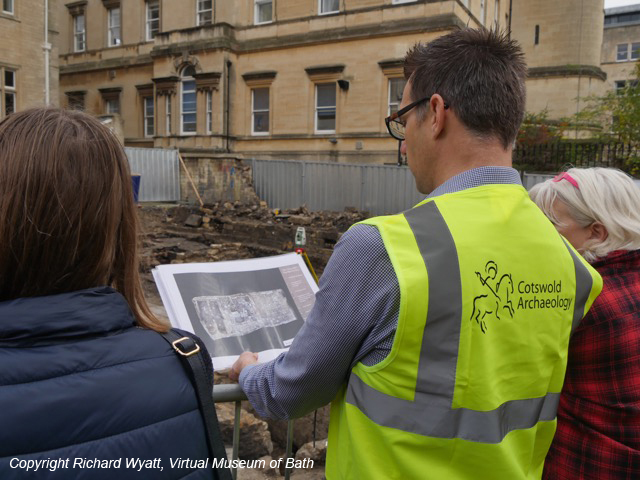 It has also allowed access to what is a very interesting archaeological investigation, providing members of the public an insight in to the history of the city which would not have been available without the team’s commitment to an event of this nature. Thanks again to all involved. We found the open day very enjoyable and informative. The weather obviously helped no end, but I thought the enthusiasm of your team…. would have left anyone who visited site with a great impression of what we are all trying to achieve with the project. This should ultimately reflect well on the development as a whole. Find out more about the project on our Saw Close and Bridewell Lane Clay Tobacco Pipe Factory page.